Downtime today was caused by dns stuff while transferring the domain name between registrars which won't happen again probably ever. I encounter no problems with it now. It is on the 8.8.8.8 and 208.67.222.222 DNS. i meant everything else about the site, because the site is bad and i never fixed anything. dns is fine. SMF is going through some updates and their new version has a mobile friendly default theme. They released a companion mod that edits the old default theme to make it more responsive which I just patched to the custom theme this forum uses real quick. Let me know if some pages/functionality break because of this. Note that it's not a very good mobile theme because as I understand it it was mostly added for google/seo related reasons. I also deleted all steam-only members with 0 posts. 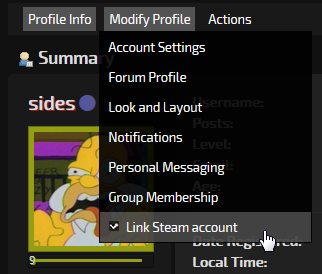 Has no effect other than their settings/registration dates and the member count because if they ever do revisit the site they will use steam to log in and it will create their account again anyway. Reminder: If you already have an account on here with an email/password don't use steam login unless you've linked it to your account (pic). Otherwise, you'll end up creating a separate account. We now have SSL provided by Let's Encrypt which Adynathos has set up. The forum software is pretty finicky when it comes to urls, so please let me know here or by email if any troubles arise from this move. Known issues are that redirection from non-https and non-www does not work for /forums/* links (this was always the case though) and certain <form>s, like when you modify certain posts, still have an http link as the action, so submitting it will prompt (on firefox at least) a message about how if you continue you're going to go through an insecure connection. It gives you a "yes" "cancel" option (hit yes). Right now I'm just waiting to see if it fixes itself. All fixed! Anyway, new site should also launch this weekend, although these forums will remain as they are for quite a while until perhaps something new can replace them. 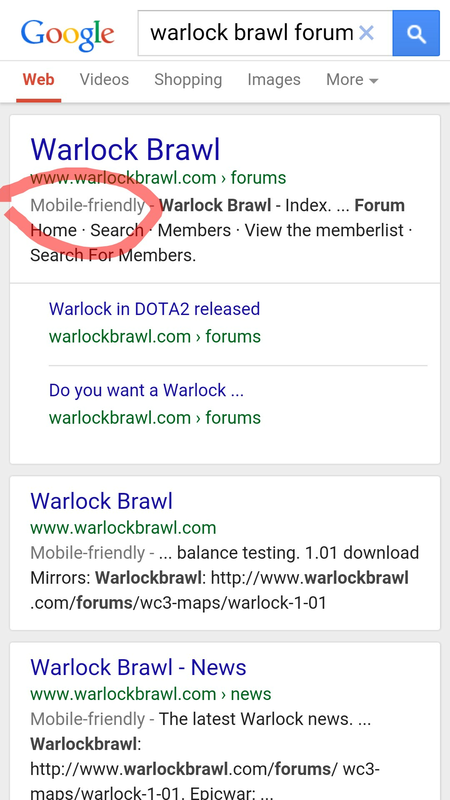 I made a test installation of the new forum at https://warlock.vipserv.org/forum/ so we can see whether we like the idea. There's now a sneak peak available at http://travis.warlockbrawl.com, which syncs with the latest git source. Feedback (or code contribution) welcome. Although the "manual" containing some guides and a full fledged wiki for all in-game info is still a work in progress, so everything is a bit barebones now.